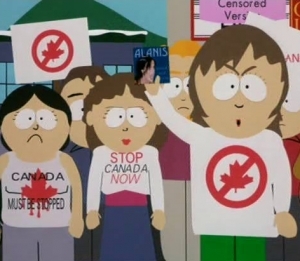 Don’t blame Canada. It may be the solution to what looks like a rough year ahead for the tourism industry on Hilton Head Island. With financial woes brewing fears about shrinking tourism dollars, marketing officials are looking to the north to tap new visitors who are less affected by the shifting economic situation. Canada might be the solution to what looks like a rough year ahead for the tourism industry on Hilton Head Island. With fears about shrinking tourism dollars, marketing officials are looking to the north to tap new visitors who are less affected by the economic downturn. Sigh. This hardly qualifies as risk taking, but maybe I should quit this place already and try something more exciting. So what’s your story about Tim? Well Canada might be the solution to what looks like a rough year ahead for the tourism industry on Hilton Head Island. With fears about shrinking tourism dollars, marketing officials are looking to the north to tap new visitors who are less affected by the economic downturn. Jeff Kidd would’ve let that in.